Period pain or period cramps, also known as dysmenorrhea, is actually a common condition. 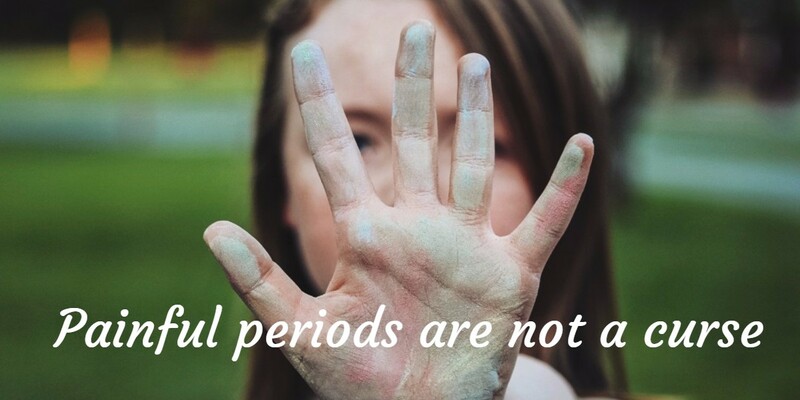 Over half of women experience painful periods. Some women will have a diagnosis, for example of endometriosis. But most of the time, there is no ‘reason’ for the pain and a lot of women just consider the pain as inevitable. Often, when I ask women about their periods and if they experience cramps and/or pain, the answer is often along the lines of ‘Yes I do have some cramps, like any other woman. Pretty normal, isn’t it?’ And just as often, these women aren’t coming to see me to help alleviate the discomfort but for another unrelated reason because they are totally unaware that this is something that can be helped. Well, according the Chinese Medicine, painful, crampy periods are not ‘normal’. The pain that some women experience is the sign of some imbalances that can be corrected. This has recently been confirmed by a study from the Western Sydney University. The results from this study have shown that acupuncture leads to significant reduction in the intensity and the frequency of menstrual pain after 3 months of treatment. So, what can someone do to help alleviate the pain? Stress is often making that sort of pain much worse. The first thing is to ensure that your abdomen (and lower back) is always covered and kept nicely warm. During your periods, using a wheat bag to keep the area warm can be very helpful too. But another less know way is to ensure that your feet are warm too. So use some socks in bed, don’t walk bare foot on a cold floor but use sleepers instead! Ensure that you have a balance diet with some warming foods such as dry ginger, cinnamon or turmeric. Some foods high in omega 3, such as oily fish (mackerel, sardines …) or nuts and seeds can be very helpful too thanks to the anti-inflammatory nature of omega 3s. In particular, in the week just before your period and during your period. Acupuncture will help the Blood circulate more freely thus reducing the amount of pain. What is working for you when you get these crampy, colic spasms? Do you get other symptoms as well, such pain radiating down your thighs, lower back pain, diarrhoea or even nausea and vomiting? Are you silently struggling with painful with periods? If you have noticed that painful periods are part of your life and standard treatments aren’t quite working for you, contact me to see if I can help you.